The North East has spawned some of the greatest Rock stars England has ever produced. Hailing from Washington, Tyne and Weir, son of a miner, Bryan Ferry’s Roxy Music exploded onto the music scene in 1972 with this groundbreaking Art Rock classic. In an era that mostly kept singles and albums separate, Virginia Plain didn’t appear on the first album and wasn’t even recorded when the first album was released but it was to be extremely significant in introducing the band to a wider public via their appearance on Top Of The Pops. Ferry’s eye shadow alone had them bound for the stars but it was also the first sighting of Eno and the introduction to the world of experimental Glam Art Rock. 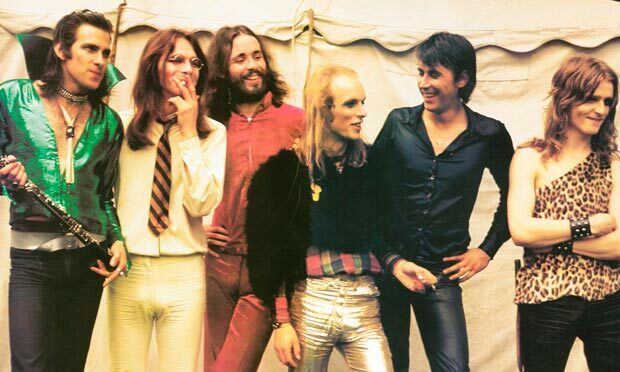 Bryan Ferry had auditioned for the job of lead singer in King Crimson and it was this meeting with Robert Fripp that led Ferry to King Crimson’s EG management, EG signing the band and securing them a recording contract with Island Records for their first album, produced by King Crimson’s lyricist Pete Sinfield. Some weeks later the band went into the studio again and recorded two more songs, Virginia Plain and its B side, Andy Mackay’s instrumental, The Numberer – Virginia Plain reached No.4 in the UK chart and helped push the album to No.10 – the rest is history.